It all started in April 2007... I thought I purchased a Kingsville Boxwood bonsai, but thanks members of the Yama Ki Bonsai Society, I found out it was something totally different. Now, I've got so many bonsai in-training, they don't fit on the window sill anymore. Check out my slideshow. The Yama Ki Bonsai Society also introduced me to the world of "Japanese Viewing Stones" or Suiseki. My collection started with a siltstone, a few chrysanthemum stones, and continues to grow. To give back to the society for all I've been learning, I maintained their website until I moved to Oklahoma in Oct 2013. Our 2015 Fall Bonsai show. 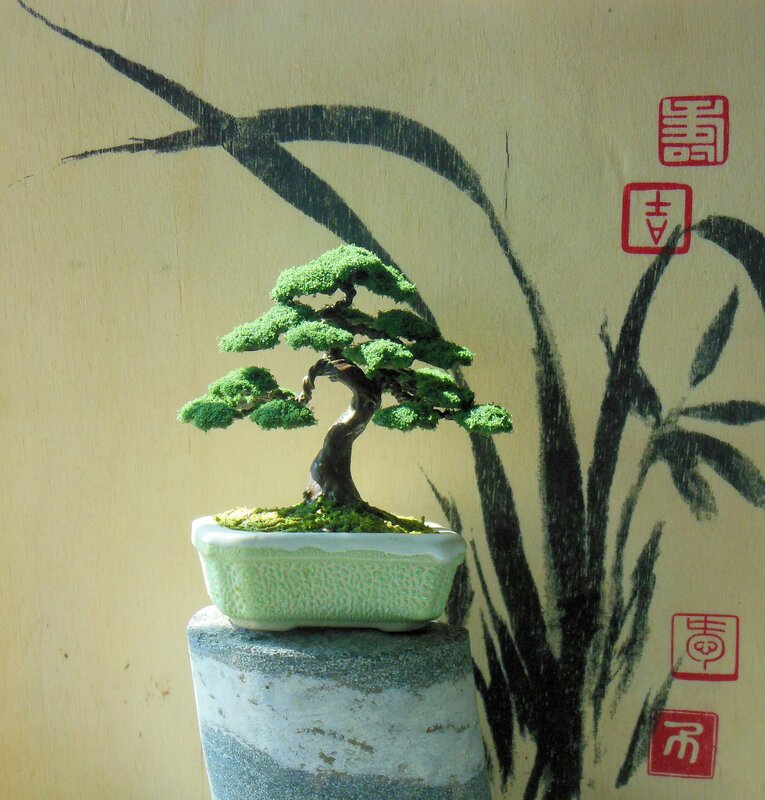 Visit this site for a downloadable book that shows basic bonsai styles, how to prune, etc. 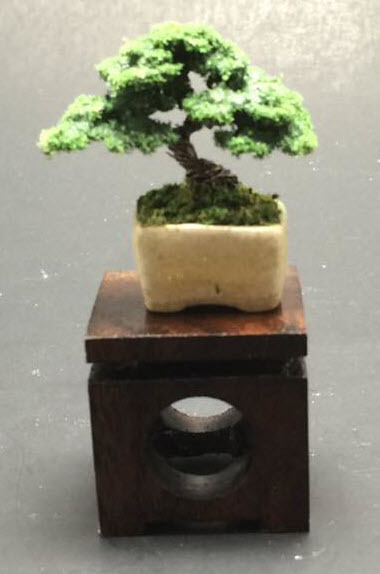 Ken To's wire with flocking, win from 2014 bonsai auction, second one is a micro tree only 1" tall!